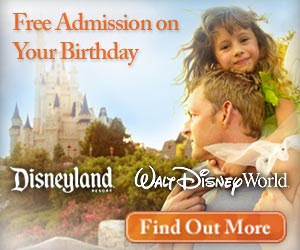 Disney just announced that in 2009 you can get in free to Disney theme parks on your birthday. But only the ones in America. Which is a bummer because we won't be in America at all in 2009. When I was growing up and when Mike and I were dating and newlyweds we went to Disneyland each year on my birthday. Since my birthday happens to be Christmas Eve, it was a great treat since Disneyland closed early and as a result the park was always empty. We took Nathan on his actual birthday when he turned five. Nathan shares his birthday with none other than Mickey Mouse himself! Lucky boy.